Northern Virginia's only living "Carl Reef"
Carl began began diving right here at Virginia Scuba in March of 2016 and has worked his way up to Assistant Instructor. Carl continues to expand his diving skills with additional training. Carl's favorite part of diving is the "Dive Life". You can find him at Lake Phoenix pretty much every time the shop is there. 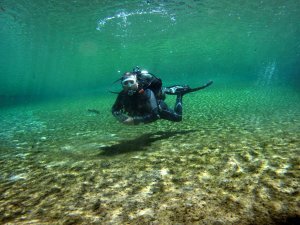 He enjoys introducing new divers to The Dive Life and meeting new divers.